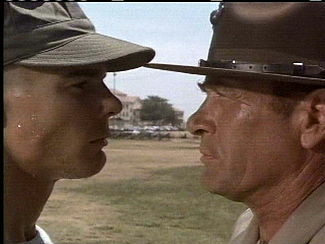 Jan-Michael Vincent and Darren McGavin. This incisive 1970 film about a tough Marine drill sergeant and a hippy recruit remains one of the best-remembered telecasts on the ABC Movie of the Week. Darrin McGavin, in his finest pre-Christmas Story performance, stars as Gunnery Sergeant Drake, who informs his raw recruits: "I will be your father, your mother, your legal guardian, and your sister for the entire period you are here." His biggest challenge is Adrian (Jan-Michael Vincent), a high school drop-out who was drafted. To his surprise, Drake learns that Adrian is in the best physical condition and scored the highest on the aptitude tests of anyone in his platoon. While always respectful, Adrian remains a free spirit and--to Drake's dismay--even teaches meditation to his fellow recruits. Still, Drake sees potential in Adrian while the young Marine begins to struggle with his own identity. Made during the Vietnam War, Tribes straddles the fence politically by portraying both Drake and Adrian in a positive light. Indeed, the film's only misstep is the inclusion of another drill instructor (Earl Holliman), who takes an instant dislike to Adrian and becomes obsessed with "breaking" the young man. Holliman's character provides Tribes with a villain--when the movie doesn't need one. Tracy Keenan Wynn (Ed's grandson) and Marvin Schwartz won an Emmy for their original screenplay. A big ratings hit, Tribes was later released overseas as The Soldier Who Declared Peace. 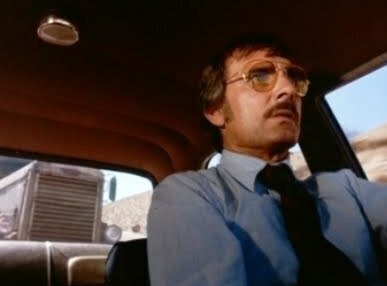 Dennis Weaver (with truck behind him). This effective, if slightly overrated, 1971 made-for-TV thriller launched Steven Spielberg's career as a feature film director. The bare-bones plot concerns a businessman (Dennis Weaver) who encounters a crazy trucker while driving across the California desert. The trucker reacts angrily when Weaver passes him on the highway. One little retaliation leads to another, escalating to a deadly game of cat-and-mouse. By showing only glimpses of the big rig's driver, Spielberg turns the truck into the villain. In fact, much has been written about the similarities between the truck in Duel and the Great White shark in Jaws. Screenwriter Richard Matheson, who adapted his own short story, has said his inspiration was a real-life incident of "road rage." Weaver is adequate in the lead role; he's pretty much the only human character with any significant screen time. The story is by nature episodic, but the short running time helps hold viewer interest. Ironically, when the film earned critical raves, Universal had Speilberg shoot additional footage so a bloated 90-minute edition could be released overseas. Speilberg's follow-up was another telefilm, a haunted house tale called Something Evil (1972) with Sandy Dennis and Darren McGavin. It's not very good, though still interesting to compare to the later Poltergeist. After directing Savage, a TV pilot with Martin Landau, Spielberg moved to the big screen with Sugarland Express. When a thief removes an emerald amulet from an ancient mummy, he unknowingly releases a blood-seeking creature from 450 BC. 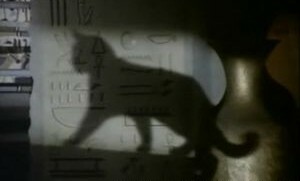 A follower of Bast, the Egyptian goddess of cats, the creature drains humans of their blood as it seeks the amulet that will ensure immortality. This 1973 telefilm serves as an affectionate homage to the atmospheric Val Lewton thrillers of the 1940s. Director Curtis Harrington opts for subtle shadows instead of outright frights (though the close-ups of the creature's hypnotic cat eyes are rather disconcerting). 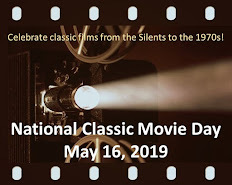 The proceedings get a boost from the presence of classic-era performers who specialized in mysteries and thrillers: Gale Sondergaard (The Spider Woman); Keye Luke (The Charlie Chan films); John Carradine (House of Dracula); and Kent Smith (The Cat People). Heck, even Peter Lorre, Jr. has a small part. Of the contemporary cast, a brown-haired Meredith Baxter fares best as a young woman hired to replace one of the victims in Sondergaard's creepy store, The Sorcerer's Shop. Prolific author Robert Bloch, perhaps best known for writing the novel Psycho, penned the screenplay. Director Harrington made several interesting films, such as the offbeat Night Tide and What's the Matter With Helen?, but never achieved mainstream success on the screen. The Cat Creature is a modest, but enjoyable, horror film that earns kudos for taking a different approach. Perhaps I was a little sleepy when I watched, but I didn't figure the obvious twist until the final half-hour. This is another interesting collection of TV movies from the 70s, Rick. "Tribes" was a bit sad for me because of Earl Holliman wanting to ruin Jan-Michael Vincent's character. Darren McGavin was quite good and had the most interesting character. I think the title is also thought-provoking. I have only seen "Duel" once and it is decidedly a statement about road rage that is quite frightening. Another blast from the past. I used to enjoy the ABC Movie of the Week, too. Great post! Toto, I'm often surprised by how many people remember TRIBES. It seems to have a struck a chord, particularly with folks who were teens in the 1970s. I must admit that when I was a kid I saw "Duel" and it scared the pants off me. Anytime I was with my family and a truck was near us I would sweat and try to see the driver, which you couldn't do in movie! That's a great anecdote. I sometimes wonder if DUEL's success was the inspiration for another another Movie of the Week: KILLDOZER. It was about a bulldozer that starts killing off a construction crew! "Peter Lorre Jr." ... wasn't. Sometime around '62-'63, a man named Eugene Weingand went to an LA coudt to legally change his name to "Peter Lorie". Weingand gave as his reason that he wanted to take advantage of a resemblance he'd always had to the real Peter Lorre - sort of like a "tribute band" kind of thing. "State your name for the record, please"
"My name is Peter Lorre. I hope you believe me ..."
... until Peter Lorre's death in 1964, at which point Eugene Weingand started calling himself "Peter Lorre Jr." and launched an acting career. Weingand fabricated a "biography" for himself, claiming to be Lorre's offspring from an early German marriage. Apparently, enough people in Hollywood bought into this and "Lorre Jr." racked up a small string of bit parts in TV before vanishing circa 1970. The court case is recounted in some detail in the recently published Lorre biography The Lost One. Thanks for sharing an intriguing story! Learning of Jan-Michael Vincent's passing, I'm watching Tribes. I remember watching it back in the day. Great movie.